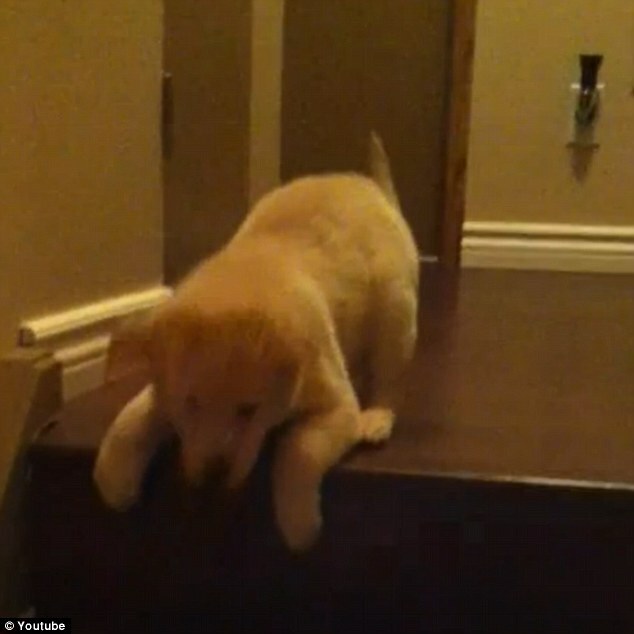 Canadian dog lover Tim Doucette’s new 8-week old puppy Daisy was able to run up the stairs without a problem, but getting back down looked a little scary. 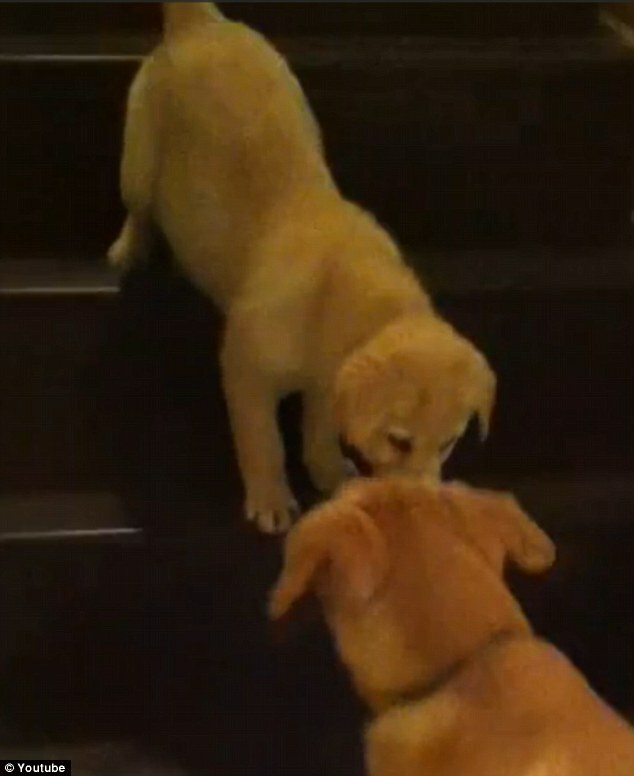 Luckily, Doucette’s other dog, Simon, a 6-month-old lab mix, was there to show Daisy the ropes. 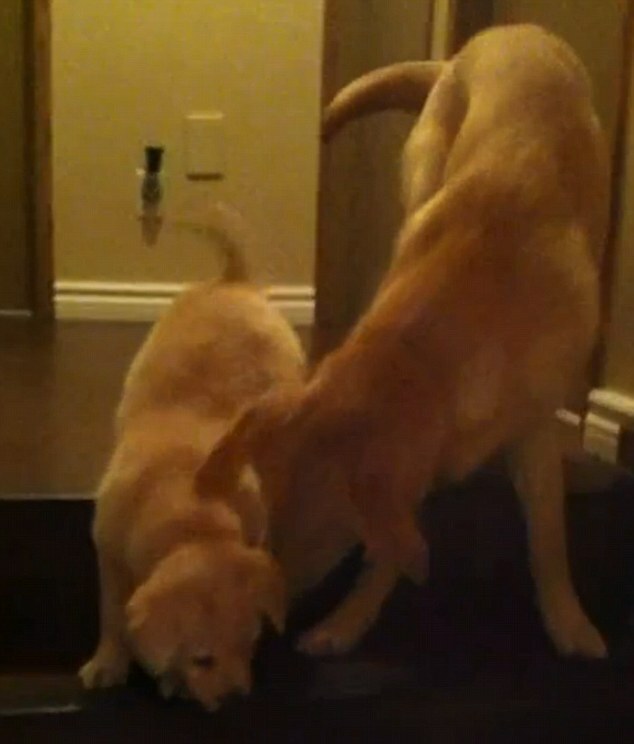 In Doucette’s heart-warming footage, Simon runs up and down the stairs, patiently waiting until Daisy can put paw in front of paw all the way down to the floor. 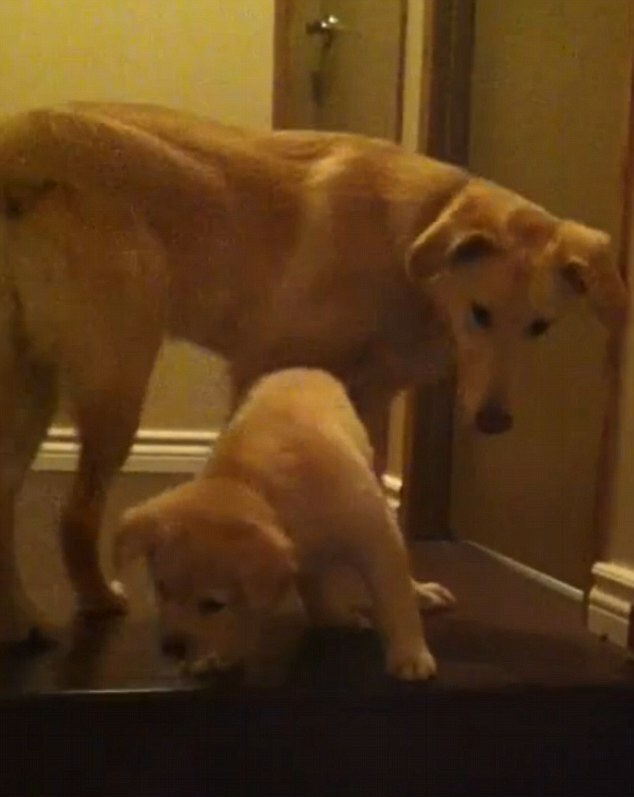 ‘Our 6 month old lab mix rescue pup taught our 8 week old foster pup from Manitoba Mutts Dog Rescue in Winnipeg to go down the stairs once she got up and couldn’t get down!’ Doucette wrote in the video’s description. Nearly 10,000 viewers have watched the adorable lesson. ‘Compassion for a fellow being who is afraid and struggling. Patience and example in teaching. Determination and courage (in the face of fear) while learning. This is why we live with dogs — and how we should live with each other. Thanks for posting this lovely moment,’ wrote user Vicky Jones.